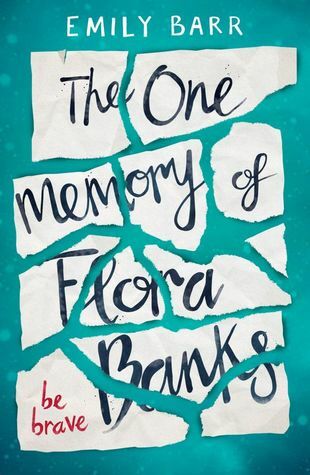 The One Memory of Flora Banks is Emily Barr's debut YA novel. 1. This book was very hard for me to get into. I get that Flora cannot make memories after she is ten years old, but the constant rehashing of everything going on made the flow of the book hard to really dive into it. It did start to flow a little better once Flora made it to Norway, but by that time I had a hard time caring about the story. 2. There were several things in this book that did not make sense to be. Minor issue is that Flora goes to movie's with her friend. Why in the world would you pay like $10 for a movie that you can't remember an hour after it is over. Waste of money. The biggest issue for me was the parents leaving to go take care of her brother in France and just planned on another 17 year old girl to take care of her. These over protective parents of a child that cannot remember anything are totally okay in trusting her care to a teenager. Not a in home nurse, and trusted adult, but a teenager. That just seemed ridiculous. 3. I did like the characters that Flora meets in Norway. This part of the book was the best with her learning to navigate on her own, and charming all these people. 4. Once learning more of Flora's condition and her mother's response to it made me a. question even more the leaving her in the care of a teenager, and b. really dislike her mother. The mother's reasoning and responses to her made her seem like some creepy mother with an unnatural attachment to her child.